8 Foot 3 Ghosts in Pumpkin Inflatables. 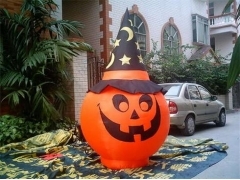 Indoor or Outdoor airblown 3 ghosts in a pumpkin Halloween inflatable air blow ups. Inflates in minutes and lights up. 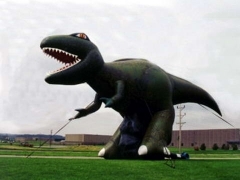 This is one of the popular yard inflatables for this Halloween season. Look for shipping specials! The Custom Christmas Inflatables is one of our newest Christmas Decoration inflatables and maybe the funnest. It’s especially suitable for sales promotions, advertisings, bars, malls, parties, trade shows, exhibitions, photo booth companies, etc. Christmas Snowman, Inflatable Snowman, Custom Inflatable Christmas Snowman. 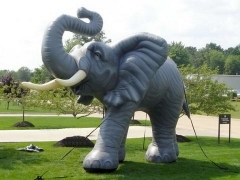 More than 9 years experience of Manufacturing Holiday Inflatables. We may customize the design, the size, the colors and the logo as you need. OEM is welcome. 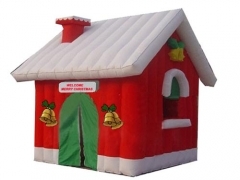 The 8 Foot Christmas House Airblown Inflatable Decoration is one of our newest Christmas Decoration inflatables and maybe the funnest. It’s especially suitable for sales promotions, advertisings, bars, malls, parties, trade shows, exhibitions, photo booth companies, etc. The Custom 13 Foot Christmas Inflatable Snowman is one of our newest Christmas Decoration inflatables and maybe the funnest. It can be equipped with led lights. These are colored LED lights for options, including blue, green, red, pink, yellow, orange, white etc. And you can change the colors freely by a remote controller. 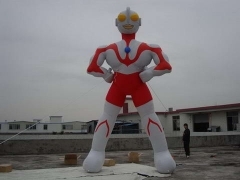 More than 9 years experience of Manufacturing Holiday Inflatables, such as Christmas Inflatable, Easter Inflatable, Halloween Inflatable and Party/Event Inflatable Decoration. These Holiday Inflatables are made by commercial grade oxford cloth material or PVC Fabric, and reinforced the sewing seams which made the inflatable unit more durable. The Custom Christmas Snowman is one of our newest Christmas Decoration inflatables and maybe the funnest. It’s especially suitable for sales promotions, advertisings, bars, malls, parties, trade shows, exhibitions, photo booth companies, etc. The Custom Christmas Inflatable Arch is one of our newest Christmas Decoration inflatables and maybe the funnest. It can be equipped with led lights. These are colored LED lights for options, including blue, green, red, pink, yellow, orange, white etc. And you can change the colors freely by a remote controller. Inflatable Christmas Arch, Christmas Inflatable Arch, Custom Inflatable Arch, Home Use Christmas Inflatables. It can be equipped with led lights. These are colored LED lights for options, including blue, green, red, pink, yellow, orange, white etc. And you can change the colors freely by a remote controller. The 12 Foot Christmas Inflatable Arch is one of our newest Christmas Decoration inflatables and maybe the funnest. It’s especially suitable for sales promotions, advertisings, bars, malls, parties, trade shows, exhibitions, photo booth companies, etc. Christmas House, Inflatable Christmas House, Airblown Inflatable Christmas House. We may customize the design, the size, the colors and the logo as you need. High Quality, Wholesale Price, Fast Delivery. OEM is Welcome. The 6 Foot Christmas Snowman Inflatable Decoration is one of our newest Christmas Decoration inflatables and maybe the funnest. It’s especially suitable for sales promotions, advertisings, bars, malls, parties, trade shows, exhibitions, photo booth companies, etc. 2 Foot Christmas Snow Globe, LED Lighting Christmas Inflatable Decoration, Airblown Inflatable Decoration. It’s especially suitable for sales promotions, advertisings, bars, malls, parties, trade shows, exhibitions, photo booth companies, etc. We may customize the design, the size, the colors and the logo as you need. 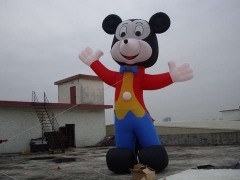 8 Foot Holiday Inflatables, Airblown Inflatable decoration, Christmas Inflatable Decoration. It can be equipped with led lights. High Quality, Wholesale Price. We may customize the design, the size, the colors and the logo as you need. The 7 Foot Inflatable Christmas Tree is one of our newest Christmas Decoration inflatables and maybe the funnest. It’s especially suitable for sales promotions, advertisings, bars, malls, parties, trade shows, exhibitions, photo booth companies, etc. OEM is Welcome. More than 9 years experience of Manufacturing Christmas Inflatables, Such as Inflatable Sant Claus, Snow Man, Christmas Trees, etc. It’s especially suitable for sales promotions, advertisings, bars, malls, parties, trade shows, exhibitions, photo booth companies, etc. 6 Foot Santa Claus, LED Lights Inflatables, Christmas Inflatable Decoration, Inflatable Santa Claus. It’s especially suitable for sales promotions, advertisings, bars, malls, parties, trade shows, exhibitions, photo booth companies, etc. It can be equipped with led lights. OEM is Welcome. The 8 Foot Inflatable Santa Claus is one of our newest Christmas Decoration inflatables and maybe the funnest. It’s especially suitable for sales promotions, advertisings, bars, malls, parties, trade shows, exhibitions, photo booth companies, etc. The Air Tight Inflatable Santa Claus is one of our newest Christmas inflatables and maybe the funnest. It’s especially suitable for sales promotions, advertisings, bars, malls, parties, trade shows, exhibitions, photo booth companies, etc. 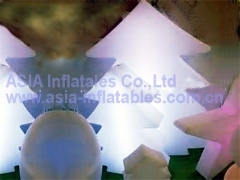 ASIA Inflatables Brand is able to fulfil most requirements. For 2016 including Christmas, Halloween, Valentines, St. Patricks, Easter, and Patriotic. The Best Party decorations you will find. 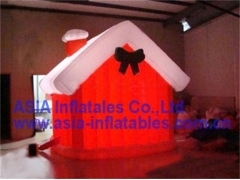 The LED Lighting Inflatable Christmas House is one of our newest Christmas inflatables and maybe the funnest. It’s especially suitable for sales promotions, advertisings, etc. Best Quality, Wholesale price, timely delivery. Interactive Inflatable Cash Cube Money Machine for School Carnivals is a great way to build brand awareness with a LOT of interactive fun!Money machines can be used for special events, grand openings, prize give a-ways, and so much more.An unforgettable promotion! Custom Branded PASEO Inflatable Cash Money Booth is a great way to build brand awareness with a LOT of interactive fun!Money machines can be used for special events, grand openings, prize give a-ways, and so much more. An unforgettable promotion! 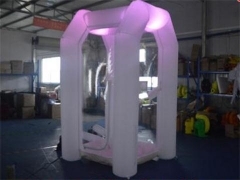 Interactive Inflatable Cash Cube Money Machine for School Carnivals,we can customize our Inflatable Money Machines with your choice of colors, patterns and logos!Each of our Inflatable Money Machine Cash Booths comes complete with a blower, timer, funny money and protective goggles. 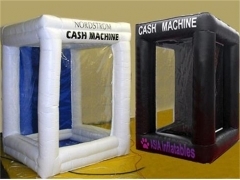 White Cash Cube Inflatable Money Machine with blowers,we can customize our Inflatable Money Machines with your choice of colors, patterns and logos!Each of our Inflatable Money Machine Cash Booths comes complete with a blower, timer, funny money and protective goggles. 2016 Fast Delivery Cash Cube Inflatable Money Grabber is a great way to build brand awareness with a LOT of interactive fun!Money machines can be used for special events, grand openings, prize give a-ways, and so much more. An unforgettable promotion! 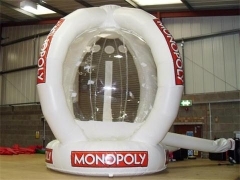 ATM Inflatable Money Machine Perfect for Indoor Facilities is a great way to build brand awareness with a LOT of interactive fun!Money machines can be used for special events, grand openings, prize give a-ways, and so much more.An unforgettable promotion! 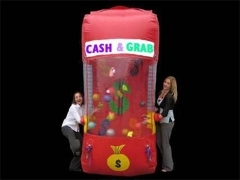 Budget Party Cash Cube Inflatable Money Grab Machine is a great way to build brand awareness with a LOT of interactive fun!Money machines can be used for special events, grand openings, prize give a-ways, and so much more. An unforgettable promotion! Custom Branding Inflatable Coca Cola Money Booth,we can customize our Inflatable Money Machines with your choice of colors, patterns and logos!Each of our Inflatable Money Machine Cash Booths comes complete with a blower, timer, funny money and protective goggles. 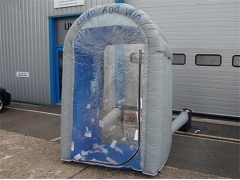 Shiny Silvery Inflatable Cash Booth in UK is a great way to build brand awareness with a LOT of interactive fun!Money machines can be used for special events, grand openings, prize give a-ways, and so much more. An unforgettable promotion! 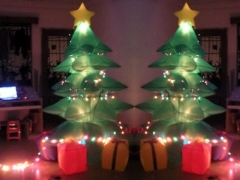 LED Lighting Christmas Inflatable, Christmas Inflatable Decoraion, Inflatable Decoraion Trees is one of our newest Christmas inflatables and maybe the funnest. It’s especially suitable for sales promotions, advertisings, etc. OEM is welcome. 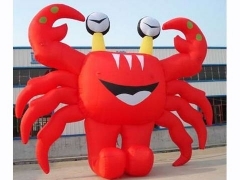 High income potential from purchasing a Inflatable Sea Animal Cartoon. We also have other themed balloons like holiday themed balloons to animals. 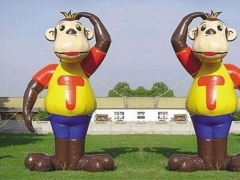 Giant custom inflatable monkey for outdoor advertising, large blow up animals props for promoting your business, inflatables for rent or sale. 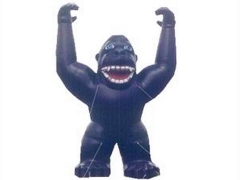 High income potential from purchasing a King Kong inflatable. We also have other themed balloons like holiday themed balloons to dragons.